People usually speculate as to why someone would create a virus or piece of malware that seemingly does nothing more than cause harm to someone they don’t even know. Are these social outcasts, still living in their mother’s basement with nothing better to do than complicate other people’s lives, or is there more to it? If you selected the second option, you win. As it turns out, the real motivation behind most malware and viruses is money. In the case of the recent Flashback malware that affected hundreds of thousands of Macs worldwide, an ad-clicking component was also installed that would hijack clicks that Google should have received. This resulted in lost revenue for the search giant and a massive payday for the person(s) behind Flashback. Symantec highlights an analysis of the W32.Xpaj.B botnet from last year that generated roughly 25,000 infections. The security team concluded that this botnet was likely able to generate around $450 per day in ad revenue for the author. Considering more than 600,000 Macs were infected with Flashback during its peak, it’s easy to see how this figure could rise to as much as $10,000 daily for the creator(s). 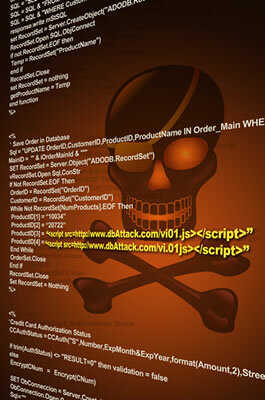 Flashback was distributed through a Java vulnerability that Oracle patched in February for PC users. Those running Macs, on the other hand, didn’t get the patch for another six weeks which was plenty of time for the malware to spread to the level it ultimately reached.